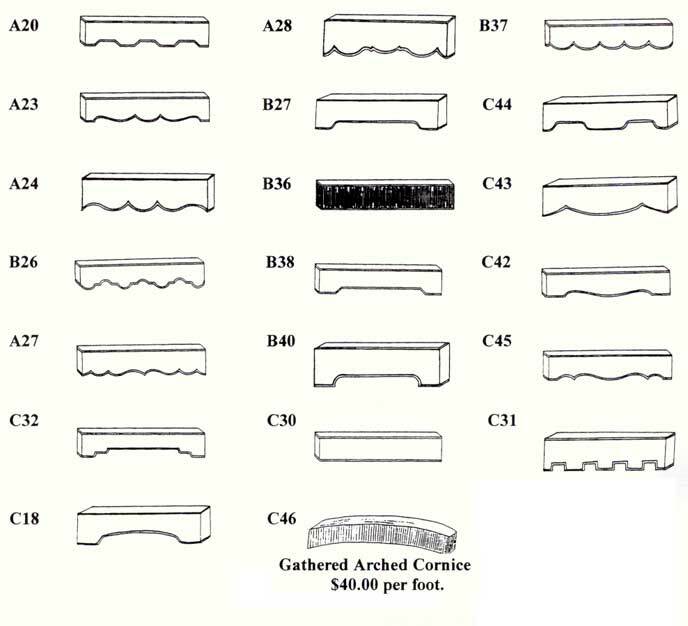 Cornices come in a wide range of shapes, here are a few of the most common. We can customize to any of your requirements. 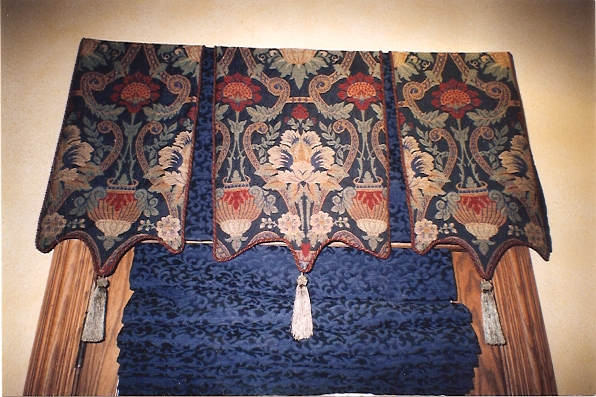 A cornices is an upholstered wood base and is constructed with a dust board frame and cording at the bottom. Returns are usually 4 or 6 inches. The Height and Width are determined by your Window size. 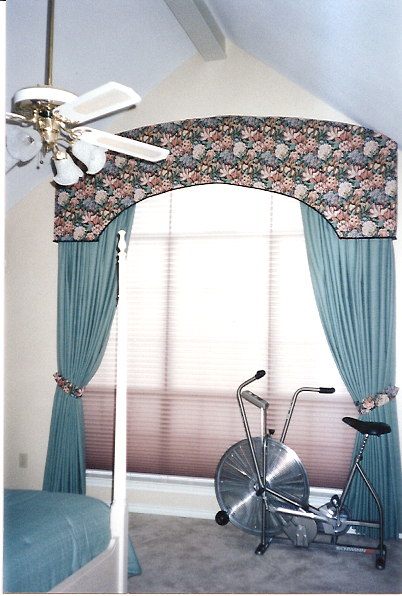 Cornices are an economical selection when looking to add a designer touch. When measuring for your cornice make sure to add 2" in width per side to achieve correct window coverage. Common shapes we can customize to any design you desire. 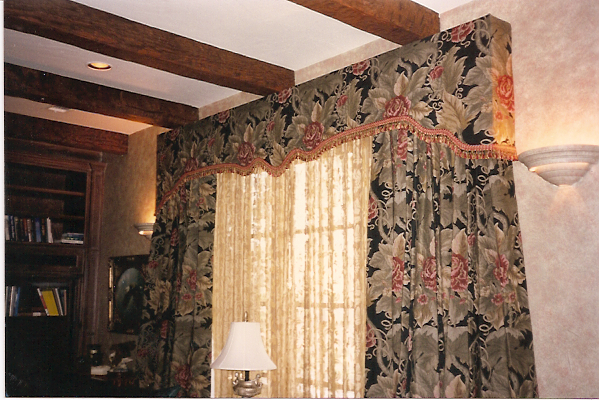 A few examples of Cornices we can customize to any design you prefer.